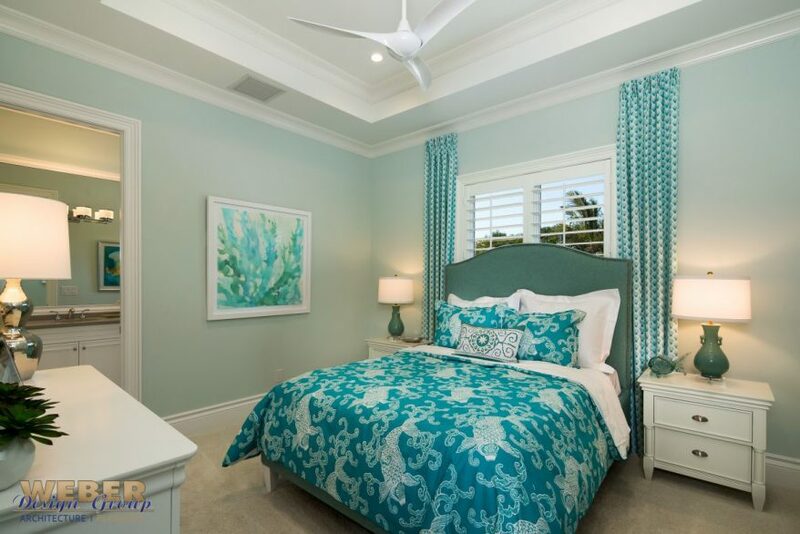 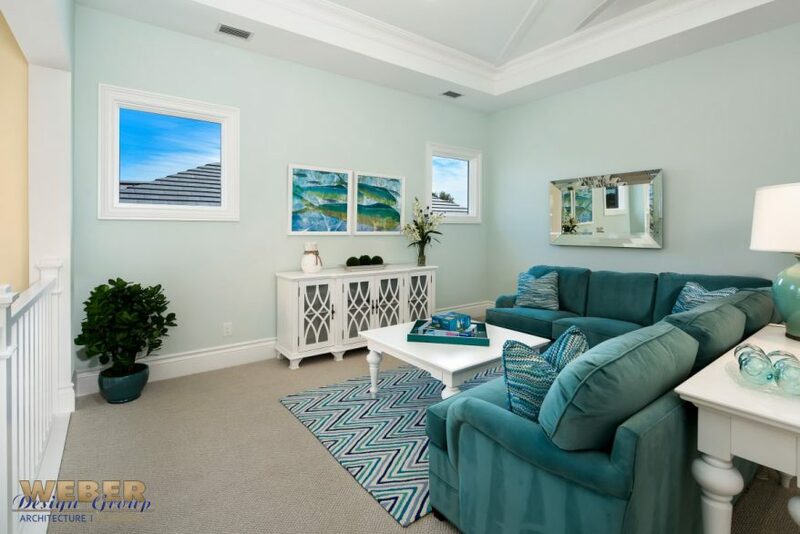 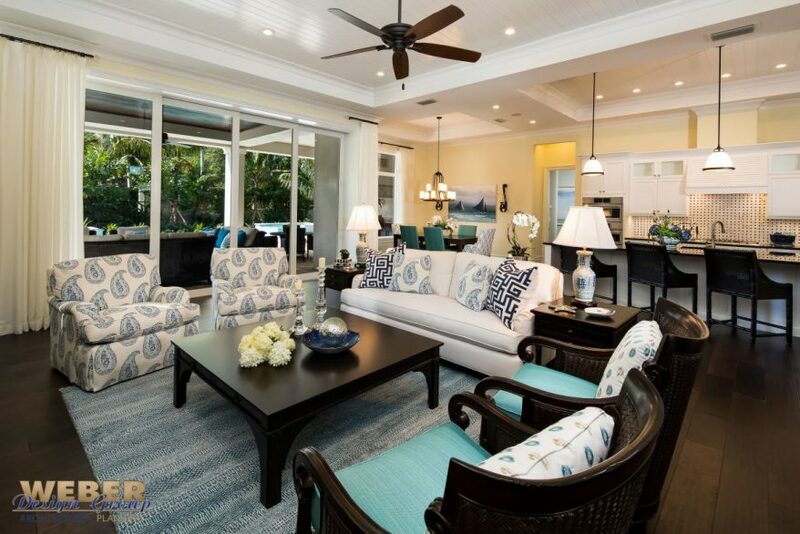 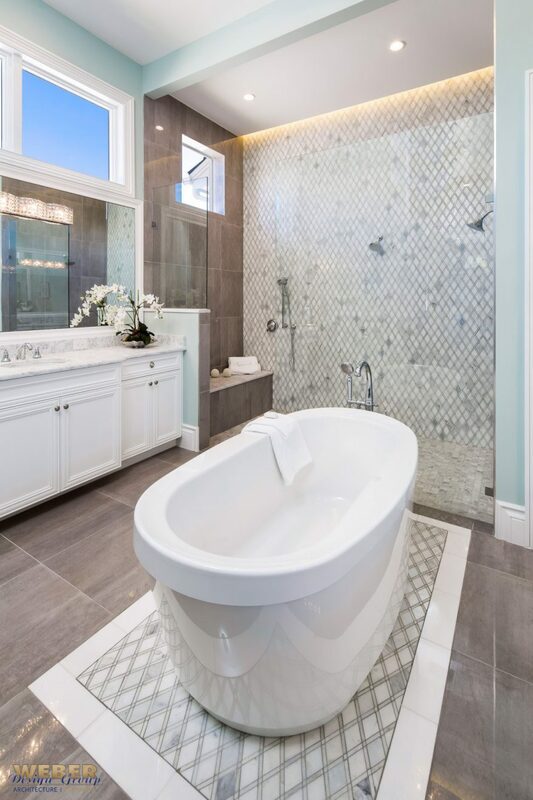 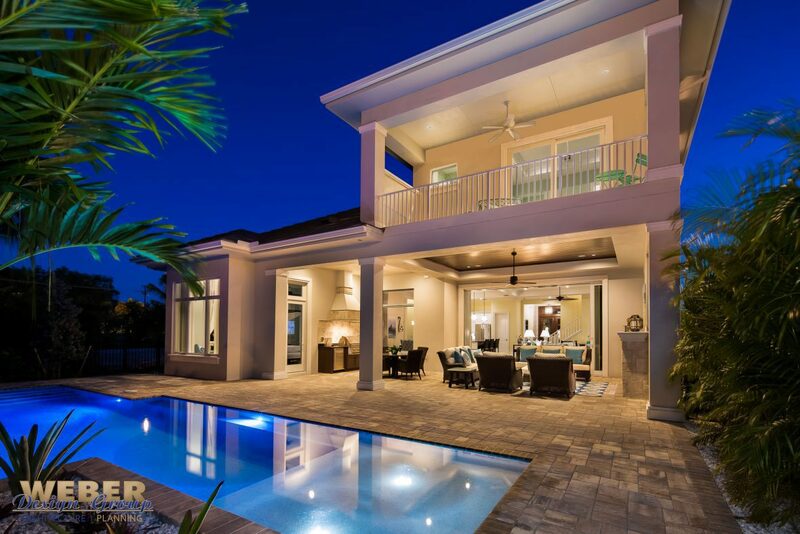 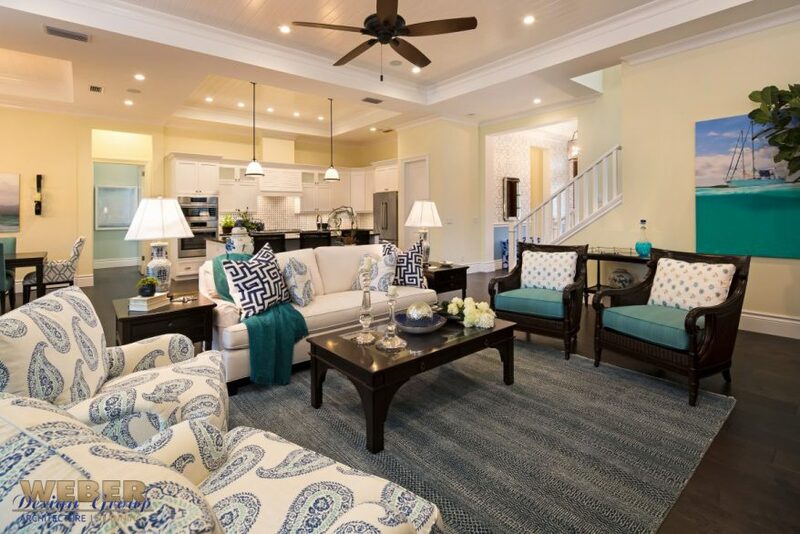 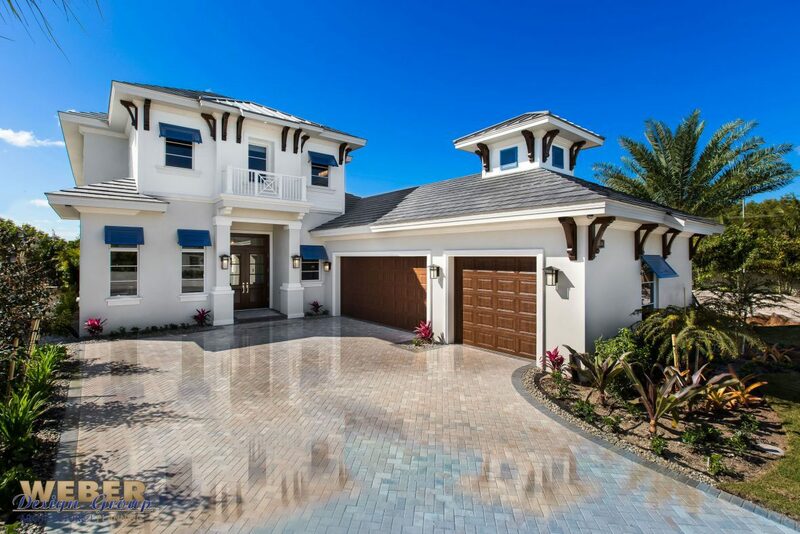 The architectural style of this 4,079 square foot residence is transitional coastal reflected in its facade that features elements like a metal roof, flat concrete tile, smooth stucco finish, decorative brackets and railings and Bahama shutter accents. 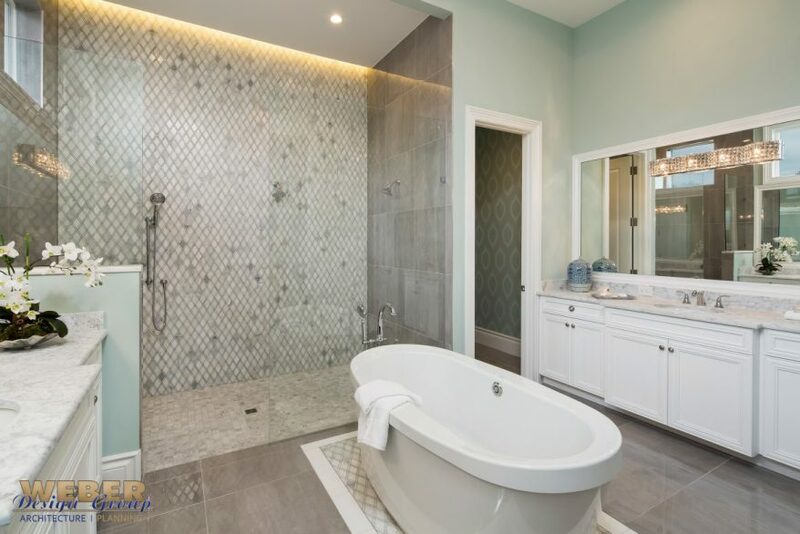 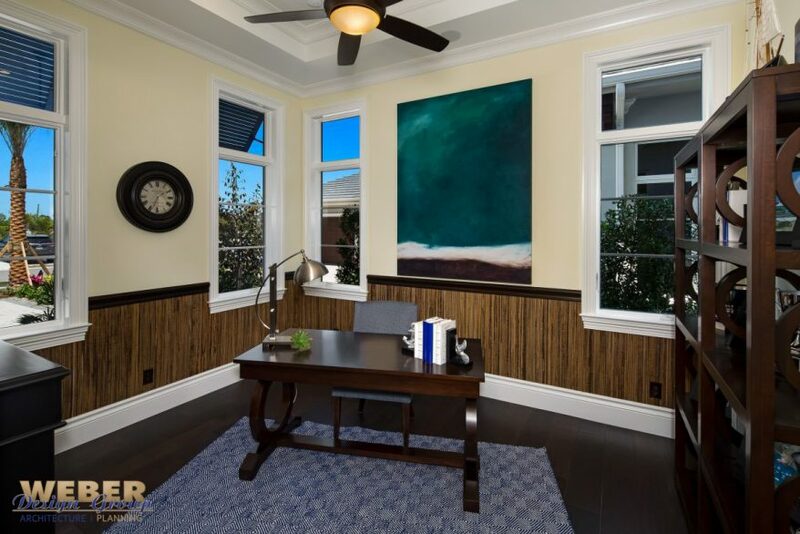 The home has four en suite guest rooms, powder bath, mudroom, game room with built-in wet bar, formal study and a three-car garage. 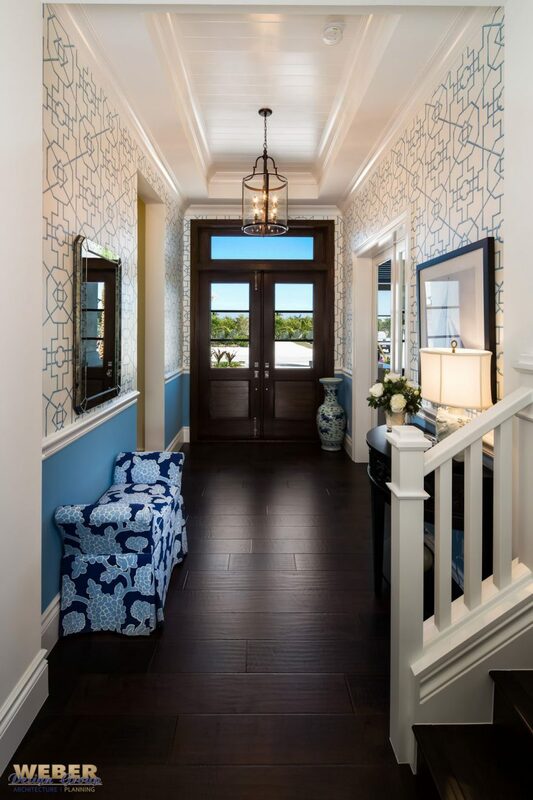 From a double door entry, the foyer leads way to the spacious living areas of the home. 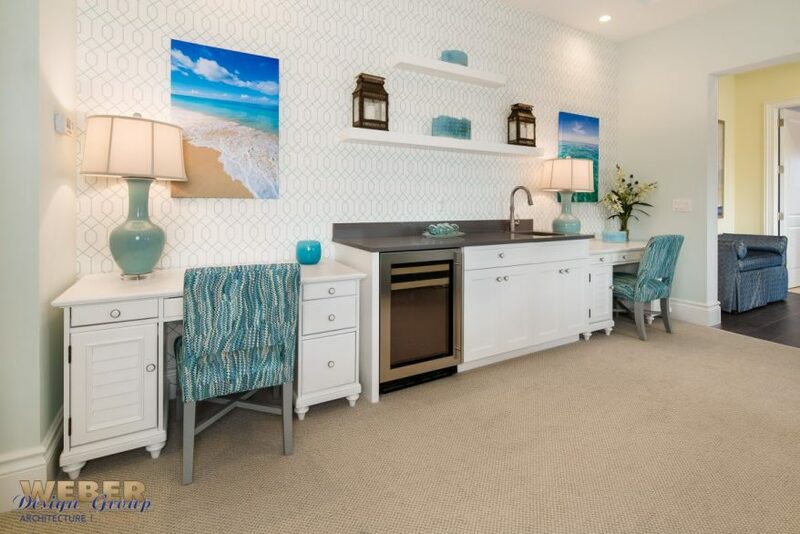 The open layout lends itself to a more casual South Florida lifestyle while remaining upscale. 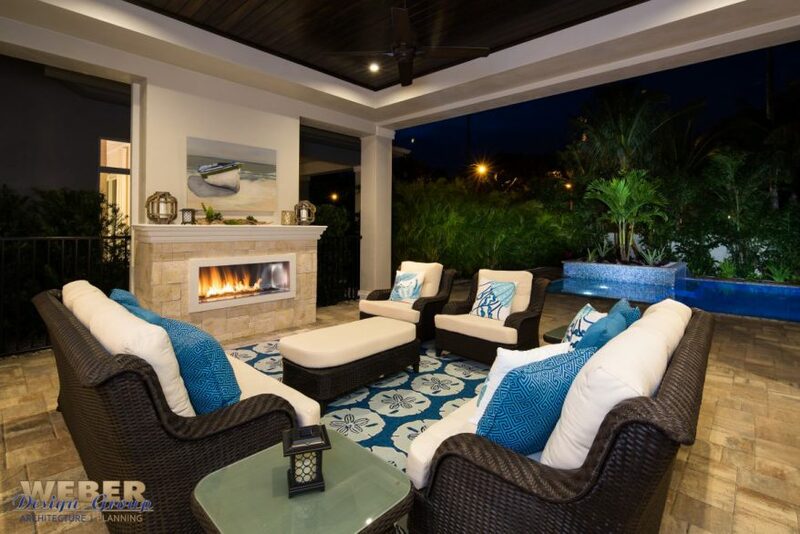 The great room boasts volume ceilings, a built-in wet bar and sliding glass doors that pocket out-of-sight to easily take advantage of the outdoor entertaining area. 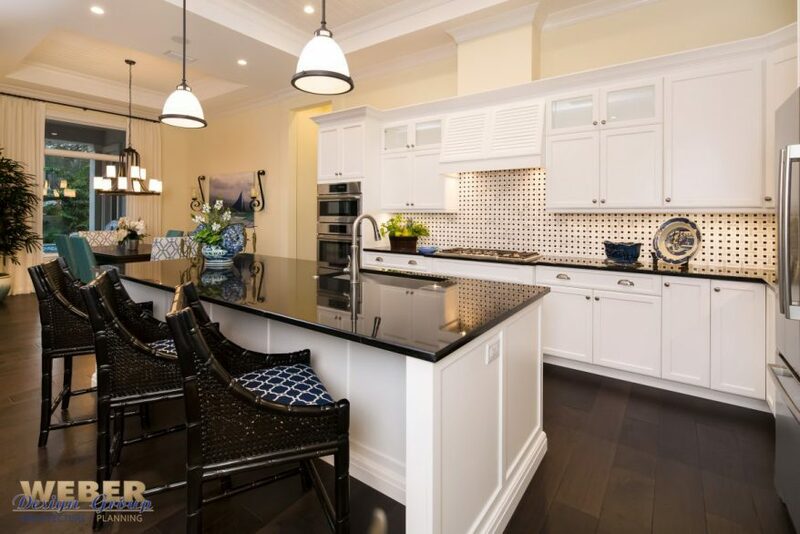 The gourmet kitchen remains conveniently open to both the great room and dining room and hosts a large center island with walk-in pantry and a high vaulted ceiling. 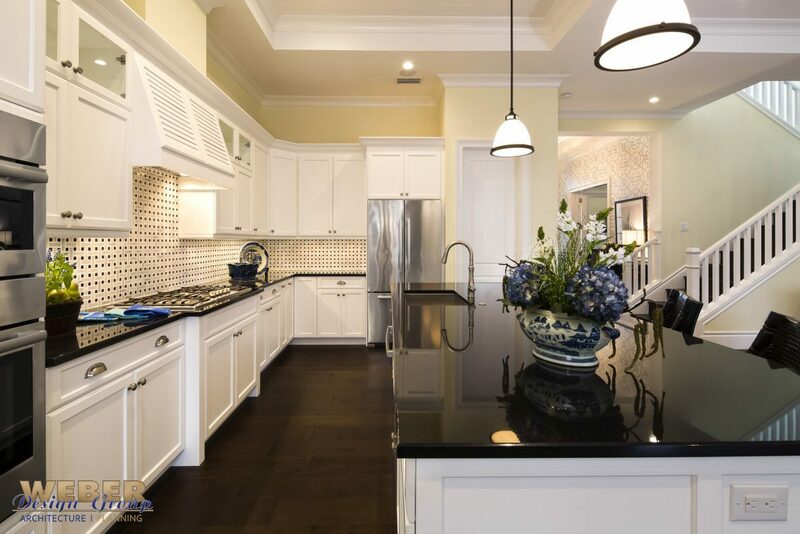 Natural light floods the dining room from multiple picture windows with transoms above, highlighting the coffered ceiling. 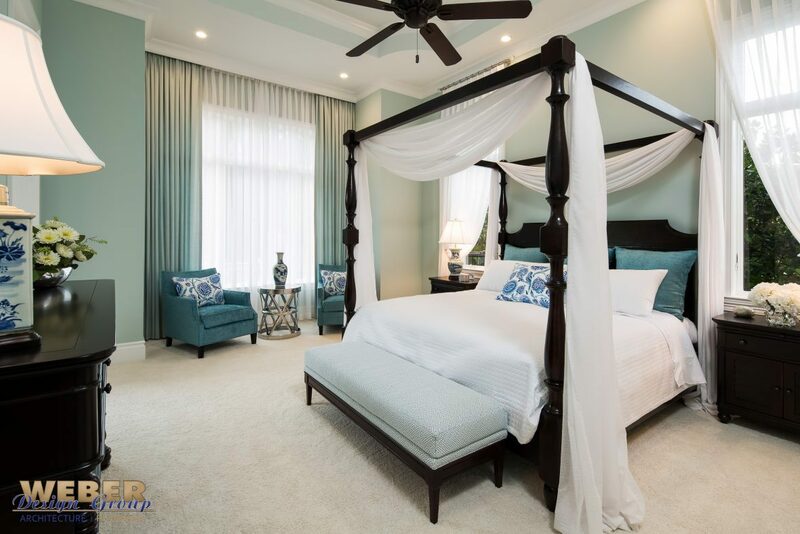 Upstairs, a covered balcony is accessible from the fourth bedroom and overlooks the pool and spa below.